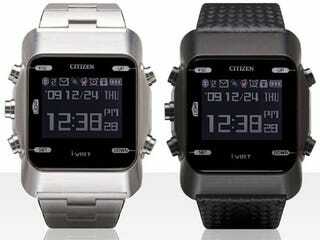 The AIBATO M Bluetooth watch from Citizen has a close relationship with your cellphone. It can alert you to calls and display caller information, emails and news tickers. It can even remotely operate a camera.